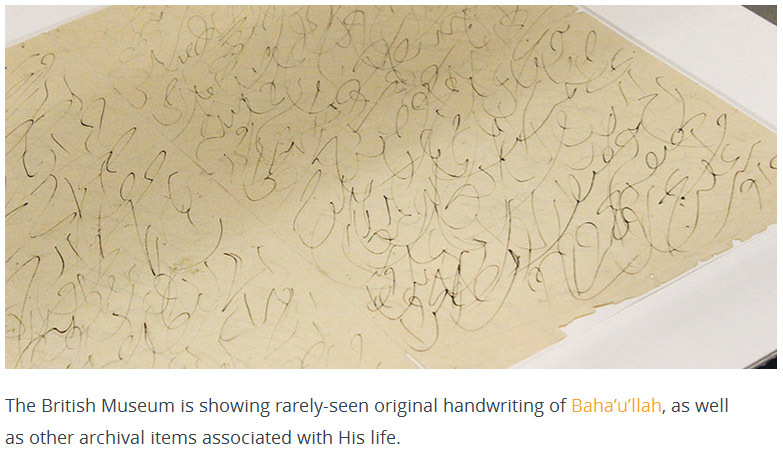 It’s amazing how Baha’u’llah manages to say so little in so many words. It reminds me of L. Ron Hubbard. People who proclaim themselves “prophets” generally love to hear themselves talk, and so they do it endlessly and get very good at it. What these people often present in their religions are very common sense ideas, which can be found outside of their religion. They draw people in by surrounding these ideas in walls of mystical language and making them much more complicated than they already are. L. Ron Hubbard was infamous for doing this, as any ex-Scientologist would tell you. At its core, Scientology is a lot of common sense ideas—that talking to another person about your problems can help you solve them and stuff like that—but of course Hubbard had to make things weird like religious leaders love to do, and so he somehow connected this all to ancient aliens who are the source of all of your problems. In the same way, Baha’u’llah and the rest of the Baha’i Central Figures liked to pretend that their theological ideas and especially their social ideas were anything unique to them, and so they wrote pages upon pages explaining these very simple ideas. World peace isn’t something new or unique to the Baha’i Faith, neither is gender equality, etc. The Unity of God certainly isn’t a new idea, neither is the concept of theophany, which had been conceived of in polytheistic religion long before the Bab or Baha’u’llah, and in an Islamic context they were spoken of by Ibn Arabi and Shaykh Ahmad, who the Bab and Baha’u’llah were no doubt familiar with. The Bab had a deep interest in Shaykh Ahmad and his successor Sayyid Kazim and their ideas, and he attended Sayyid Kazim’s lectures. Baha’u’llah is known to have associated with Sufi mystics when he was in Kurdistan, so it’s easy to see where the two got a lot of their ideas from. For example, the metaphor of wine in the Aqdas and other Baha’i writings is taken straight from Sufi poetry. The Bab draws from a wide variety of neo-Platonic, Gnostic, and Sufi sources which I can’t even begin to list. Baha’u’llah’s works, specifically his Seven Valleys and Four Valleys; Hidden Words; and Ode to the Dove are quite clearly inspired by and more or less summaries of ‘Attar’s Conference of the Bird’s; Mulla Sadra’s Four Journeys; Umar Ibn al-Farid’s Ode of the Way; as well as the hadith and Qur’an of course, and they are all very poor imitations at that. The Iqan, for instance, tries very hard to be Ibn Arabi’s Bezels of Wisdom, but it very much misses the mark. In some places in the Bab’s and Baha’u’llah’s writing, it can be very obvious which verses of the Qur’an they are trying to imitate. Arabic speakers have attested to this and to very the awkward phrasing of the Aqdas. Baha’u’llah jumps so quickly between so many different topics without even attempting to smoothly transition between them, introducing a subject at one point and then not elaborating on it until way later in the text, and he repeats himself so many times that the book reads like it’s written by some high school student desperately trying to reach a minimum word count. But of course, when first read, and especially if the person reading it is from the West and/or isn’t familiar with the literature the Aqdas is trying to imitate, it seems like such a unique and wonderful book; however, when critically analyzed, the book loses its mystical air. 2 Responses to Bahaullah’s ‘divine revelation’ exposed! “World peace isn’t something new……..”. That is so true. I like this article. The comparison to L. Ron Hubbard is great. And I have also noticed the repetitiveness of Baha’u’llah teachings and how he can say so little with a lot of verbiage. “Lots of verbage” is right! Bahaullah was no less a thief who stole from other religions and passed them off as his own teachings.